Are you living paycheck-to-paycheck? Have you ever thought, "we work too hard and make too much money to struggle this much?" Do you have good intentions to get out of debt and save, but don't know where to start? 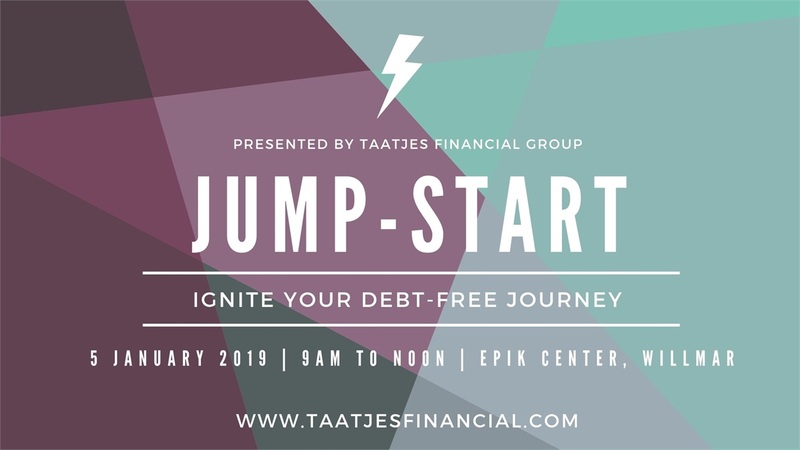 JUMP-START will give you the motivation and tools you need to IGNITE YOUR DEBT-FREE JOURNEY! In this half-day event, Jerrid Sebesta will not only inspire, but *teach* you how to intentionally and methodically pay off debt, budget and save.You'll leave JUMP-START with a revived sense of hope and enthusiasm with your personal finances. JUMP-START is FREE and open to the public, BUT YOU MUST REGISTER! 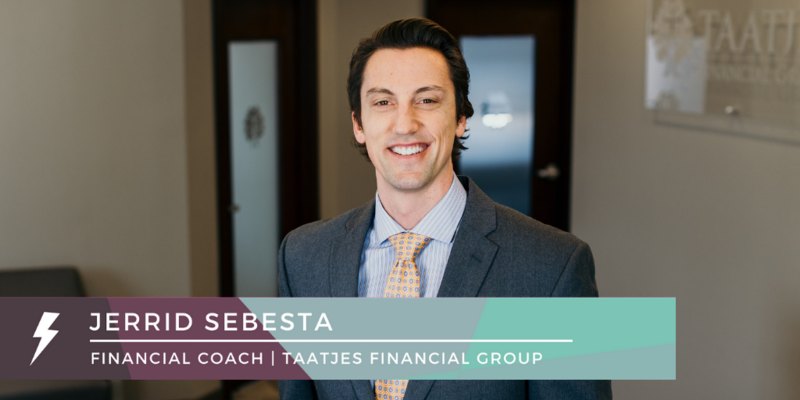 Since arriving at Taatjes Financial Group in 2014, Financial Coach, Jerrid Sebesta, has inspired thousands of people to begin their own debt-free journey. Jerrid and his wife, Emily, have been debt-free since 2007. He desires everyone experience the freedom to live and give by being debt-free.